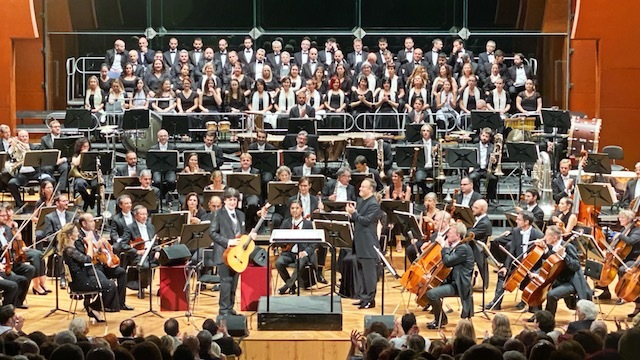 In Las Palmas de Gran Canaria, Cañizares has collaborated with the Orquesta Filarmónica de Gran Canaria, conducted by Master Karel Mark Chichon. 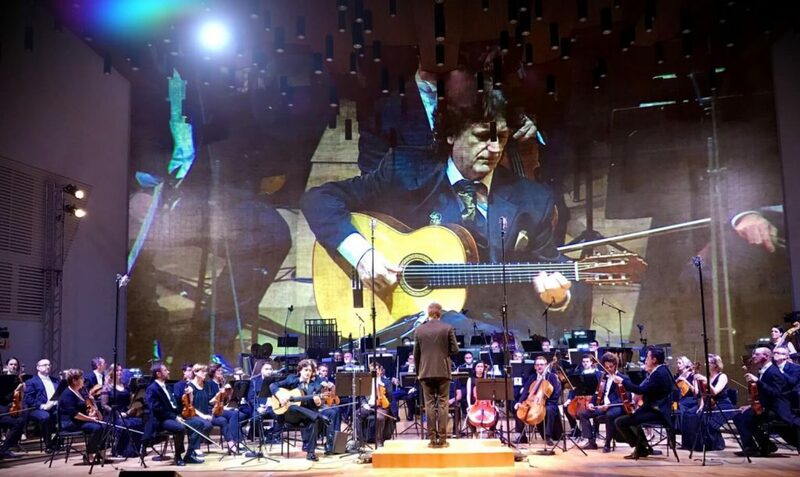 Cañizares has performed as soloist guitar in Fantasía para un Gentilhombre by Master Rodrigo, which was also included in the programme of the concerts in Finland, a couple of weeks ago. 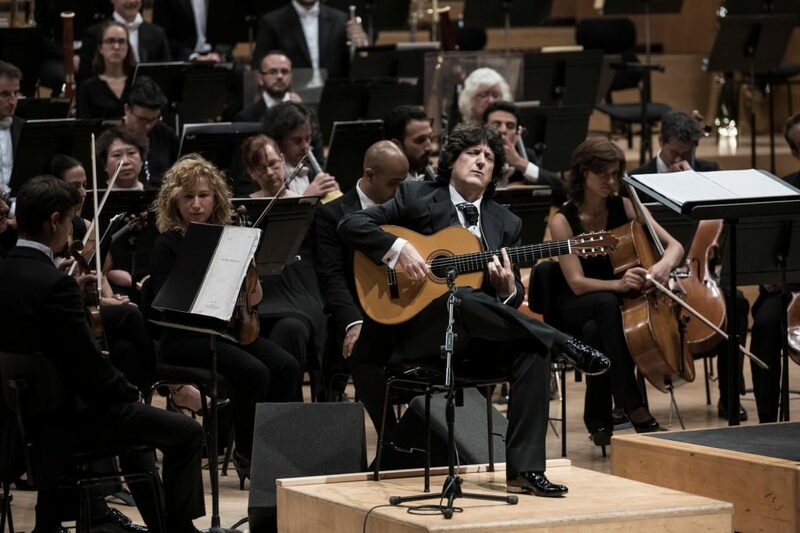 Recently, Cañizares played the Concierto de Aranjuez, by Rodrigo, in Lisbon, accompanied by the Gulbenkian Orchestra, conducted by Master Giancarlo Guerrero. Master Guerrero has won numerous Grammies. 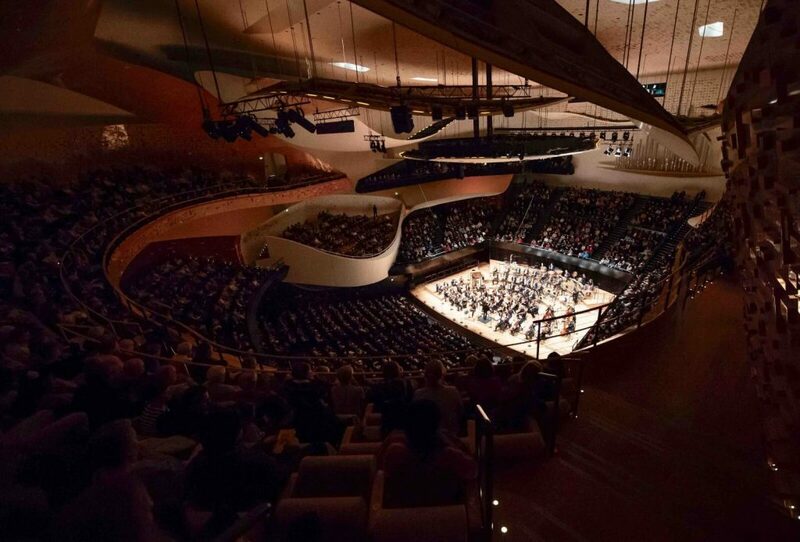 Currently, he is conducting very prestigious orchestras worldwide. 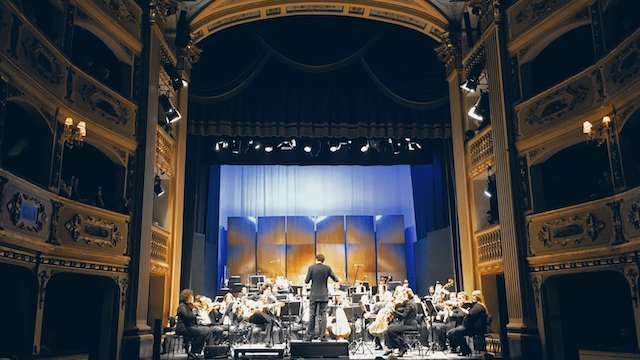 Early in the morning, we went to Dresden’s theatre to attend the first rehearsal with the Dresden Philharmonic Orchestra. In the photograph, you can admire the Frauenkirche (Church of Our Lady), which is the symbol of Dresden. 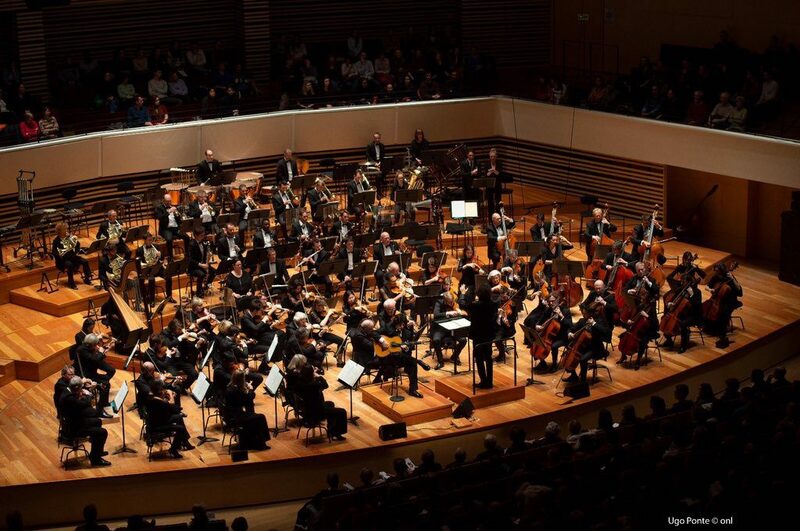 The Teatro Manoel, where Cañizares interpreted Concierto de Aranjuez by Maestro Joaquín Rodrigo, is one of Europe’s oldest theatres. 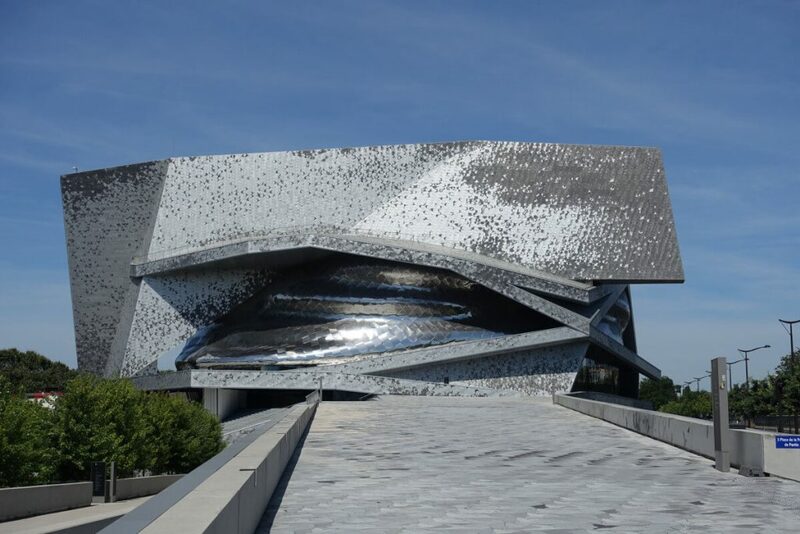 The theatre’s history is clearly reflected in the interior decor. 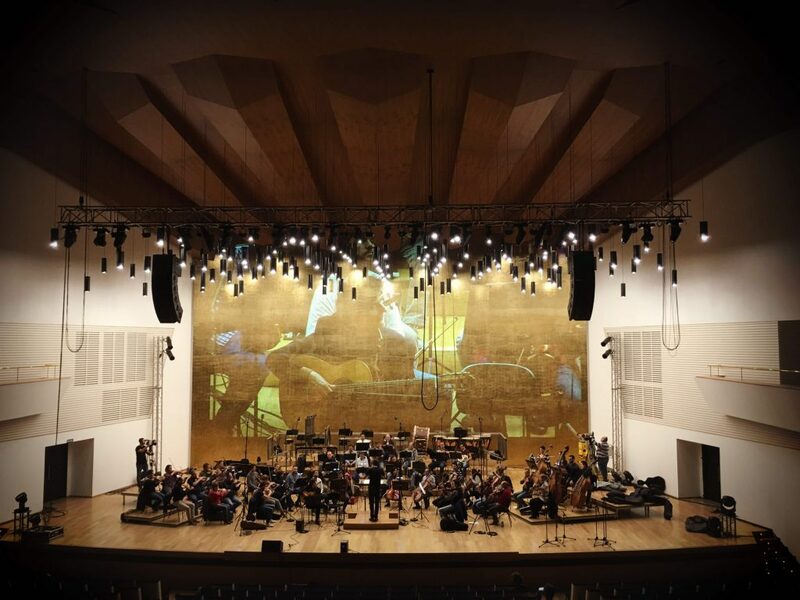 Last weekend, we had the opportunity to witness the world premiere of ‘Concierto Mediterráneo’ to the memory of Joaquín Rodrigo, in L’Auditori (Barcelona). 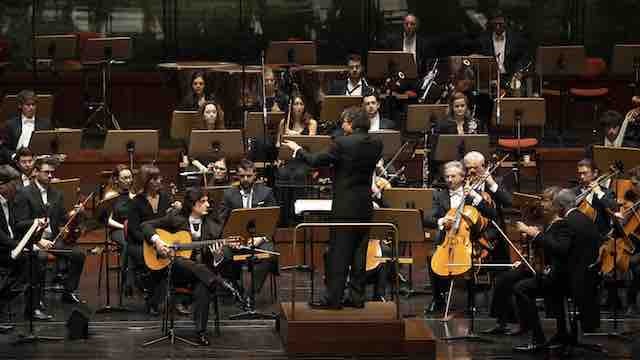 The work was written by Cañizares, on commission of the Orquesta Sinfónica de Barcelona i Nacional de Catalunya. 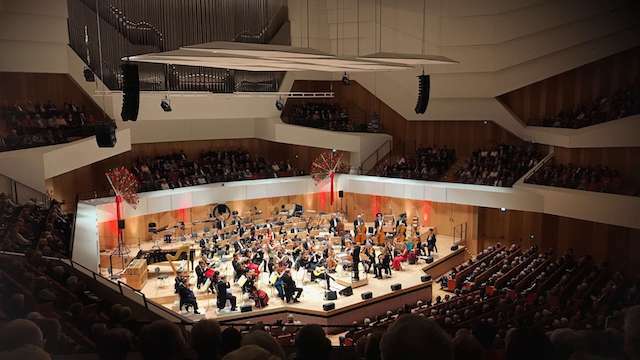 The concert in the Paris Philharmonie followed the two concerts in Lille, a city in northern France, near the Belgian frontier.